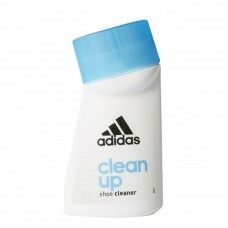 Contains active cleansing agents, removes stubborn deposits from sports and leisure shoes. Suitable for any material – except sensitive soft, metallic finish or patent leathers. Application: Remove coarse dirt and massage the cleaner into the leather in circular movements and wipe off any excess foam. Afterwards rinse out under running water.